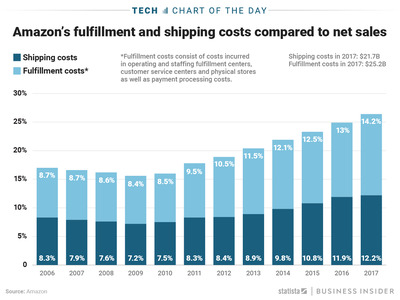 Amazon is growing fast – and so are the costs of getting people the producs they order from the online retailer. 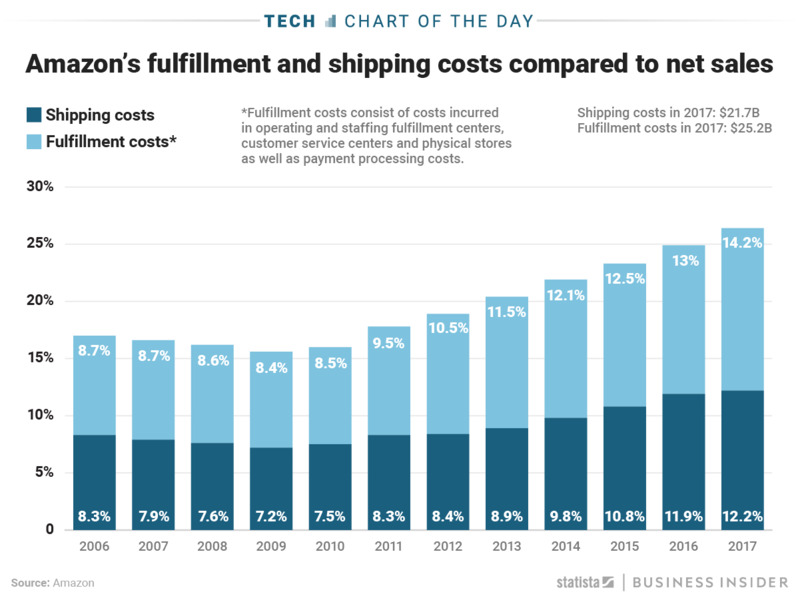 As time goes by, Amazon has to spend a higher percentage of its net sales on staffing, operations, and shipping. As this chart by Statista shows, the percentages have been inching higher since 2006. Last week, the Wall Street Journal reported that the delivery giant might soon be launching its own shipping service, which could heavily offset the company’s growing costs.